Fiberglass Screens is produced under the most exacting conditions to meet extremely rigid specifications. Fiberglass is non combustible and will not rust, corrode or stain. With immense market knowledge, we have been able to provide optimum quality Fiberglass Pleated Window Screen. fiberglass window screening is woven from pvc coated single fiberglass, fiberglass window which makes ideal materials in industral and agricultural to keep away fly mosquito and small insects or for the purpose of ventilation. Our organization is topmost provider of Fiberglass Screens to our clients. These are flexible and economical. Introducing Skynet, the premium class fiberglass insect screen - a space age product for the demanding clients. This brand delivers the best in product technology and user friendly features. Skynet goes a long way in preventing deadly yet common diseases like Malaria and Dengue from invading your home. 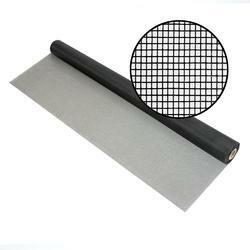 Due to the increasing demands of our customers, we are engaged in offering an extensive range of Fiberglass Screen. Banking on the skills of our qualified team of professionals, we are involved in providing high quality range of Fiberglass Window Screen. BetterVue insect screen is an improved Visibility screen (iVis) that offers clearer views with enhanced insect screen performance. It is ideal for any situation where homeowners seek a better view with improved airflow and insect protection. Our customers can avail Fiberglass Insect Screen from us.Our company has gained name in the field of providing supreme quality Fiberglass Insect Screen in market. Our insect screens are very popular among our customers for their unique construction form fiberglass material procured form reliable vendors. A window screen, also known as insect screen or bug screen is designed to cover the opening of a window. 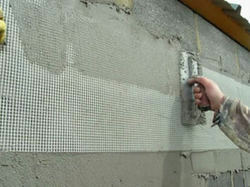 The mesh is made of fiberglass and stretched in a frame of wood or metal. It serves to keep leaves, debris, insects, birds, and other animals from entering a building or a screened structure such as a porch, without blocking fresh air-flow.